(NaturalNews) The most recent study that supports an association of mental health and vitamin D was conducted in Amsterdam, Netherlands. It's focus was chronic depression. It was entitled "The association between low vitamin D and depressive disorders," was published in the April 9, 2013 edition of the journal Molecular Psychiatry. The researchers used participants from the Netherlands Study of Depression and Anxiety (NESDA). They used the standard 25(OH)D serum level measurements to compare 494 healthy control subjects against 1,102 current chronic depressive disorders (dysthymia) with 790 whose depression was reduced but not completely gone. The evaluations were based on the DMS-IV's (Diagnosic and Statistical Manual of Mental Disorders) symptomatic outline for dysthymia. One-third of this group had low serum vitamin D readings by their standard, which is challenged in the next section of this article. The most severely depressed among the study's participants had lower readings than the less depressed. All this led to "suggesting that hypovitaminosis D may represent an underlying biological vulnerability for depression." Of course, further studies were recommended to determine if treating low vitamin D "could be cost-effectively treated as part of preventive or treatment interventions for depression." Big Pharma is probably not interested. The researchers NESDA patients used as subjects were classified with dysthymia under DMS-IV. Dysthymia and major depression have many similar symptoms. One obvious difference is that major depression contains suicidal tendencies while dysthymia victims just remain hopeless, but they have a difficult time coping. Regardless of whether the symptomatic diagnosis is determined by committee DMS or Grimm's Fairy Tales, depressed folks are not so difficult to peg. However, the EU standard used as the threshold of vitamin D deficiency is lower then the American standard. They use 50 nmol/L (nanomols per liter), which translates to 20 ng/ml (nanograms per milliliter). American endocrinologists consider below 30 ng/ml deficient. More progressive medical practitioners claim blood serum readings should be at around 50 ng/ml for optimum preventive health, and closer to 80 ng/ml for therapeutic purposes. But 100 ng/ml is flirting with toxicity. So it's possible that at least minor depression, which leads many to demand those psychotropic pills, could be common among those whose 25(OH)D serum levels are below 30 or even 50 ng/ml. Exposing bare skin to peak sunshine with its UVB (ultra-violet B) rays for around a half-hour three to four times a week is the healthiest way to boost vitamin D levels. A UVB tanning bed will do in lieu of sunshine. It's possible to get sunburned from the sun's UVA rays, but impossible to overdose on vitamin D3 from UVB exposure. The body simply shuts down the conversion process when it senses its had enough. Epidermal cholesterol is needed for initiating the process of converting UVB rays that create the prohormone called vitamin D3, which supports other hormonal activity. Vitamin D3 cholecalciferol supplements as are usually created by UVB action on a type of cholesterol from sheep's wool. Ignore RDA (recommended daily allowance) of 400 to 600 iu (international units) for D3 supplements. That's only barely enough to prevent rickets. The governing medical bureaucrats think vitamin D is only for building bones. Many experts consider it wise for adults to supplement around 5,000 iu daily if UVB exposure is not available, with one caveat: Make sure you have your 25(OH)D checked. It's possible to hit the toxic mark supplementing D3 because it bypasses the body's shut down mechanism. Of course, vitamin D deficiency isn't the only contributing factor for depression. 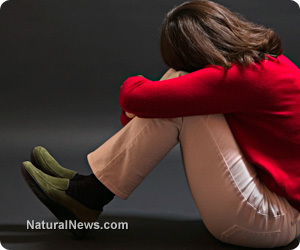 But it's a rare and major biological one that can be easily improved without harmful psychotropic drugs (https://www.naturalnews.com/034212_vitamin_D3_mental_health.html).